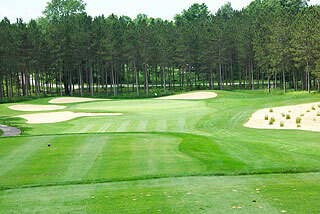 Crystal Mountain in Thompsonville just SW of the Traverse City resort area, is a full service golf resort featuring 36 holes of 4-star golf with a variety of lodging options that rank with the finest in the Midwest. The golf school and junior golf academy have been honored as tops in Michigan and rank with some of the finest facilities in the country. Crystal Mountain Resort & Spa features upscale amenities including casual and formal dining, fitness and spa facilities, banquet/outing rooms, outdoor pool and water playground, plus recreational opportunities that include hiking, biking, tennis, charter boat fishing and more. For info on the resort and stay and play packages, visit the properties' website by clicking here. 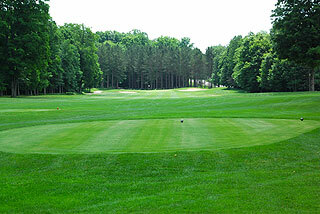 The Mountain Ridge and Betsie Valley courses are serviced by the same clubhouse, which features a well stocked pro shop, grill and lounge, plus locker rooms with showers. Practice facilities (on ten acres) are very comprehensive and include a targeted grass range, short game area with sand bunkers plus putting greens. Both courses are well marked with 150 yard stakes in the fairways, 100, 150 and 200 yardage plaques, plus color coded flags that indicate front, middle and back pin placements. 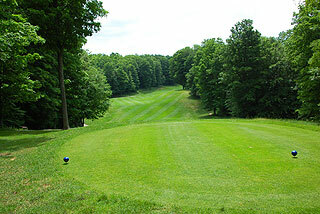 The Mountain Ridge Course features a great variety in design with rolling fairways framed by mature pines and hardwoods, playing to slightly raised green complexes that are well bunkered. 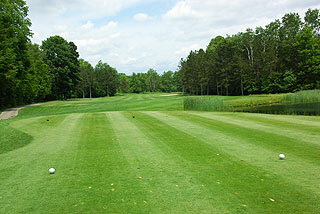 There is a mix of fairly level and extremely undulating putting surfaces that putt quick but true. 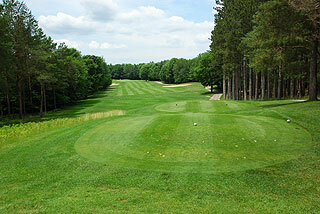 Golfers will encounter several nicely elevated tee boxes, especially from the back tees. 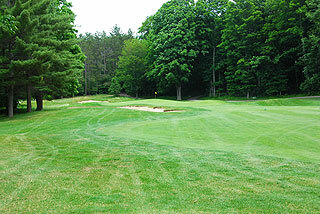 There are also a number of sandy waste areas both along the fairways and greenside. Water hazards come into play 7 holes, and players will have to negotiate 57 sand and waste bunkers, which are strategically located near the landing zones and putting complexes. 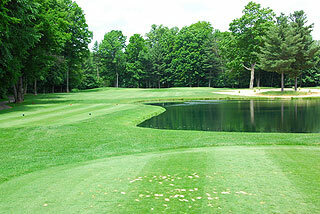 The partial cart paths allow golfers to drive directly to their ball, along this serene and well landscaped layout. There are very few residential or resort properties and they are situated on the perimeters. The layout continues through the 18 holes without passing the clubhouse at the turn... but beverage/snack carts consistently make their rounds. Four sets of tee boxes play to distances and slopes measuring 7007 yards/132 slope, 6258 yards/128 slope, 5700 yards/121 slope and 4956 yards with a slope of 119 for women hitting from the front tees. 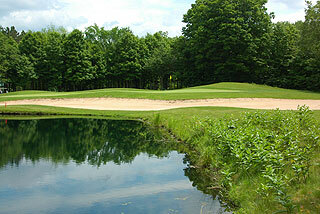 This is a beautiful layout - one of the finest in SW Michigan. For more info, visit our page for the course with direct link to their website by clicking here.